This beautiful grass green Kendama features our Super Stick paint which is much tackier than our standard competition model. 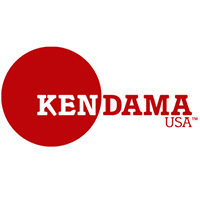 At Kendama USA we are continuously developing and testing new painting techniques and styles. The Super Stick is another level of progression we are excited to offer. This tama is perfect for learning high level technical tricks. Practice on these to train your muscle memory, and take your trick vocabulary to the next level. Each Super Stick model comes with free stickers, an instruction booklet, and an extra string and bead. Customer evaluation for "Tribute - Super Stick - Merlot"